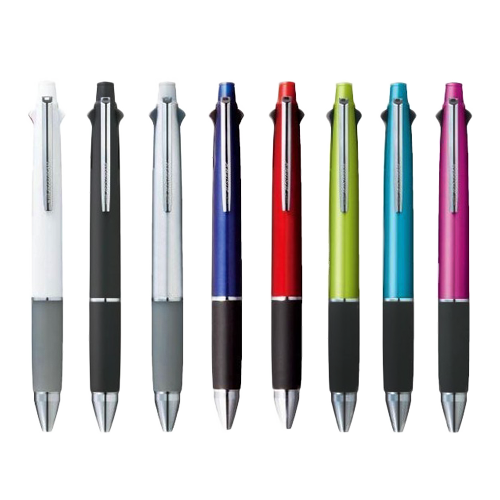 This pen has four ballpoint ink components (black, blue, green, and red), plus a 0.5 mm mechanical pencil component. The ballpoint components feature Uni’s revolutionary low-viscosity Jetstream ink—famous for its smooth ink flow, quick drying times, and water- and light-resistance. Comfortable rubber grip section.